Subscribe to the Newton News List for news you need to know, plus a link to the weekly Friday Pack. The Newton Free Library is conveniently located across from Newton City Hall. The City of Newton website has a user friendly "How Do I...." webpage plus a 311 for Quick Help and Requests webpage for quick links. Newton Teens win Library of Congress Experiments Lab: Congressional Data Challenge prize. Congratulations on U.S. Treaties Explorer! Who are the property owners on your street, and other information. How to obtain copies of birth, death, and marriage records through the Newton City Clerk's office. Precinct boundaries and 2010 population figures from Secretary of State's Office; view or purchase from the State Bookstore. Calendar, reports, docket actions, agendas and more. Your research may take you back and forth between the library and City Hall. Consult this home page first. Connecting you to city departments. Click on the related link in the left frame for further information. Look up a City of Newton Ordinance. View the 4th Congressional redistricting and other districts across the Commonwealth. Understand the meanings of these terms through this FAQ. From the Department of Public Works, Community Lead Memo and other information. Information and what to do about discrimination, fair lending, lead law, and more. Policies concerning: domestic violence, sexual harassment, social media (+ request form), telecommunications, vehicle, and whistleblower. Enacted in 1990, Chapter 30B of the Massachusetts General Laws, the Uniform Procurement Act, establishes uniform procedures for local governments to use when contracting for supplies, services, and real property. Overview of commonly needed links to resources from City of Newton departments and services. Welcome to Newton! Get to know your City Council officers and staff, their contact information, and then sign up to receive a weekly newsletter giving you updates on Newton's City Council. Take part! Here is how. If clearing your sidewalk of snow per Newton City Ordinance #Z‐83 Sec.26‐SD would be a hardship, use this form to apply for an exemption. Street by street, speed limits are identified. See TPR-84. Down or hanging tree limbs which are a hazard to the public. Formerly under Chapter 20 Civil Fines & Misc. Offenses, Article VI, it was moved to Chapter 5 Public Buildings and Inspectional Services. Charter and ordinances. PLEASE NOTE: This is NOT the official version of the Ordinances of the City of Newton. 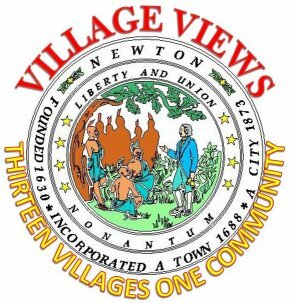 While reasonable efforts have been made to assure the accuracy of the data provided here, do not rely on this information without first checking an official edition of the Revised Ordinances of the City of Newton 2012. Calendar of meetings annually from 2009 - present: dockets, reports, actions, audio. Board of Aldermen nomenclature used through 2013, dropped beginning 2014 meetings, becoming City Council. Ordinance for sidewalk use for restaurants in Newton. The Planning Department ordinances are contained in Chapter 22, Articles I-VI. Several important topics with easy links to the information you need from the City of Newton Police Department, such as all night parking restrictions, or obtaining an accident report. Check boxes help you search for documents, maps, audio clips, and more on the city's website. Links regarding snow services from the city and help such as a Sidewalk Snow Shoveling Exemption Request Form. Excerpt from Massachusetts Court System: In civil matters, District Court judges conduct both jury and jury-waived trials, and determine with finality any matter in which the likelihood of recovery does not exceed $25,000. The District Court also tries small claims involving up to $7,000 (initially tried to a magistrate, with a defense right of appeal either to a judge or to a jury). Fifteen of its judges serve on the Appellate Division, an appellate tribunal with published opinions that is organized in three geographical districts, and sits in three-judge panels, to review questions of law that arise in civil cases. Read more about the District Courts on the Massachusetts Court System website. Newton District Court General Information, Location and Jury Duty Information. Courts, resources, Self Help Center, forms and more. Massachusetts Bar Association free legal advice on the first Wednesday of each month from 5:30 - 7:30 pm. 617-338-0610. AT ALL OTHER TIMES: Leave an Email Address or Use Our Email Form. Ask a reference librarian at the State Library in the State House. From the Massachusetts Bar Association: "Whether you are a member of the public looking for assistance with a legal question, an attorney searching for a volunteer opportunity, or a student or teacher interested in bringing law-related education to your school, you can benefit from the MBA's public and community service programs." Affordable Units, Low-income and Public Units, Veteran Housing Assistance, Eviction Prevention/Landlord Disputes, Emergency Shelter, Housing for People with Disabilities, General Affordable Housing Counseling. Links to your state senator, state and federal representatives. Federal Level: Want to learn about how the House works? Looking for a step-by-step description of how Congress makes laws? Want to book a school tour of the Capitol? The resources in this section contain a wealth of information for educators and students. The City of Newton Planning Department and The Jackson History Museum post legal information regarding restoring and remodeling historic homes in Newton. In Newton's four local Historic Districts, Auburndale, Newton Upper Falls, Newtonville and Chestnut Hill, exterior changes to buildings and landscape features must be reviewed by the relevant Historic District Commission. If the property is not in a district, a homeowner may have to undergo a demolition review through the Historical Commission, but can still make changes in accordance with city zoning and building codes. For information about Historic District regulations, call the Planning Department at 617-796-1120 or constult the Website. Types of review, such as Demolition, Local Historic District, Landmark, Preservation Restriction, plus application forms. Add a marker to your historic home in Newton! 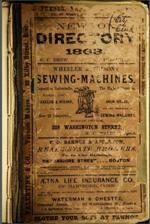 This broad historical collection covers most Massachusetts communities. It is particularly strong in 19th- and 20th-century commercial publications and in maps and views of Boston. Want to know the history behind your home and neighborhood? 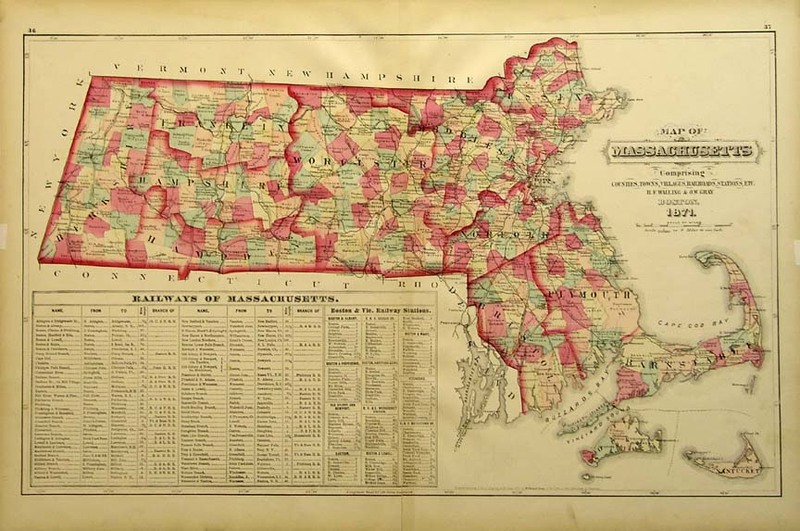 Use this free database called MACRIS (Massachusetts Cultural Resources Information System) to find factual information about historic properties, areas, buildings, burial grounds, objects, and structures in Massachusetts. This is the main portal for information from the Secretary of the Commonwealth. Forms and guidance, plus links to commonly asked questions. Information and important links for Massachusetts residents. Search by name, house number, street, or property ID. The Law Department for the City of Newton represents and advises the City, its departments, boards, and commissions, as well as the officials and employees of the City in all areas of municipal law. The Law Department does not represent, and is not able to provide legal advice to, members of the public. Enforces building code, issues permits. Files are kept by address to search for previous repairs and contractors. Use left frame for applications, forms & instructions, building permits and more. Applications for fire permit, fire alarm system and more. 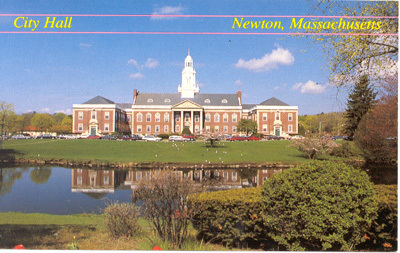 One page with links to many of your form needs for the City of Newton. Some forms may still need to be retrieved from departments, such as the Bullying Incident Report from from the School Department. Check income eligibility to see if you qualify for assistance in purchasing a home in Newton, then download an application packet. "Newton annually receives approximately $1.4 million in federal CDBG and HOME funds, which it utilizes to create, develop and preserve affordable housing developments." Check here for assistance in preserving, renovating or developing affordable housing of varying sizes. Forms, records requests, reports, permits, links to FEMA and MEMA. 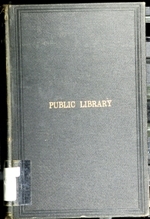 Title varies : Municipal register of the city of Newton; Revised ordinances of Newton, Massachusetts. Courtesy copy. Go to City Clerk's Office in Newton City Hall for the most current updates. Newton at a glance -- Business permits, licenses & others -- Real estate/site location assistance -- Microenterprise loan program -- Business resources & contacts. Become familiar with the official homepage for the City of Newton. A clear and detailed source of information by department plus forms across city departments. General forms and guides covering abutters, change of address, charitable organization 3ABC, commercial property income and expense, residential FAQ booklet, forms for: motor vehicle excise abatement, tax assistance forms older citizens Clause 41C, Clause 17D, disabled veteran Clause 22, age & infirmity Clause 18, blind persons Clause 37A, property tax work-off program, elderly and disabled taxation aid. "The Board of Aldermen, Newton's legislative branch of municipal government, is made up of 24 members..." Find out who sits on which Committees, see the current Calendar of Board Meetings, how to contact an alderman and more. There are more than 100 Boards, Commissions, Committees and Advisory Councils serving the City of Newton. All residents interested in serving their community are encouraged to submit an application to volunteer their talents and ideas to one of these bodies. Instructions on application, required plans, attachments, minimum required inspections, certificate of occupancy. Available to non-residents as well as residents. Restrictions: No house closings or sales, and no wills. These would require an attorney present which they do not have. Use this official homepage of the City of Newton to find local governmental information. Connect to all departments. Applications, forms, license permits and fees, procedures and regulations. Use left frame for human services, environmental health, school health, public health, emergency preparedness, FAQs and how to contact for public document requests. Through the Massachusetts Municipal Law Unit, the city or town clerk makes a formal request for approval of by-law/charter amendments to the Attorney-General's Office. Resident services, programs, properties, landlords, section 8 housing, downloadable documents and forms. Boards and Commissions, zoning appeals, special permits, FAQs and more. Under the Planning Department Boards and Commissions find Zoning Appeals Board and others. Homeless Assistance, Homebuyer & Fair Housing Programs, Affordable Housing Opportunities, Women's Enterprise Initiative and more. Link to the Massachusetts General Laws and Legislative Tracking System, Newton's State Legislators, The Governor, Department of Revenue, Massachusetts School Building Authority, and the Official Website of the Commonwealth of Massachusetts. Complete outline regarding the Housing Development process. Welcome to the Newton, MA Housing Strategy profile on mySidewalk! Here you can add a response, share posts and see how your input can directly inform local decisions like these. Explore Newton's community of villages and find out what is new. Overnight parking is considered to be more than one hour between 2 a.m. and 6 a.m. The Newton Police Department is committed to providing quality; professional law enforcement services to the community and recognizes that successful policing cannot be done without the support of the community. The Newton Police Department serves a residential population of over 85,000 people.Currently the department employs 139 sworn officers, 10 parking control officers,52 school traffic supervisors and 33 civilians. Take advantage of the Silver-Alert/Wanderer Sign-up link service available from the Newton Police Department page. Short PDF "Citizen’s Guide to Making Inquiries, Complaints & Commendations." Downloadable forms and permits for the City of Newton and also state-wide, plus Silver-Alert/Wanderer Sign-Up. Newton Trash - How Does It Work? Find out about green bins, blue bins, yard waste, appliances and electronics. Materials accepted at Rumford Ave Resource Recovery Center and other resources --all by type of material. Regulations governing the Massachusetts Department of Education. Rights, including freedom of expression, and responsibilities. Consult table of contents outline. Massachusetts Trial Court Law Libraries links. Main website for all categories. PlowMe is a company that connects you with local snow-plowing operators and snow shovelers to take care of your snow removal needs. You may contact PlowMe with an app on your smartphone; PlowMe also offers internet and phone call access as well. Ordinances, public works, what you can do to help. Excerpted from Newton City Ordinance #Z‐83 Sec.26‐SD. Alternate suggestion to finding shovelers. Consult titles from self help legal publishers. Watch for new editions with updated information. Use the Legal Topics tab to find more books and links to areas of law you may need. 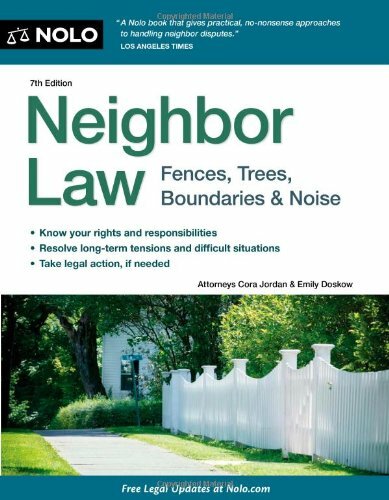 An easy-to-understand guide helps homeowners protect their rights while maintaining good relationships with their neighbors, showing them how to handle water issues, such as runoff and flooding; trees that hang over a property line; noisy neighbors; blocked views; dilapidated fences; and more.